Today we’re finishing a short series about my confession of an “approval addiction” and my process of quitting this addiction. In this world of social media, having 422 “friends” who don’t really know you, and the comparison and lack of authentic connection that ensues, breaking free from approval addiction is not easy. 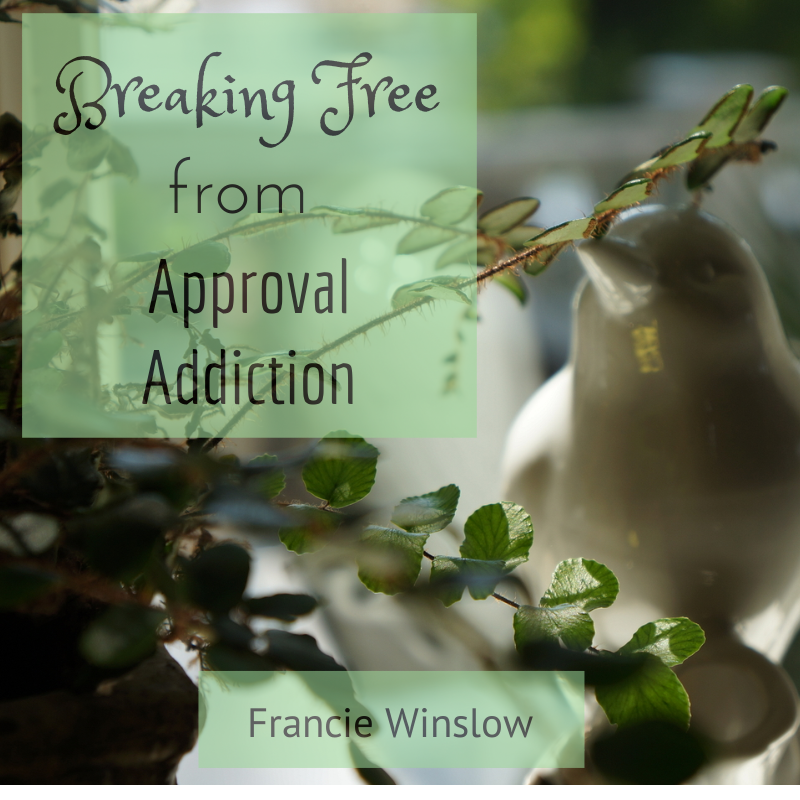 But as I aim to lay down my addiction to approval I wanted to leave you with these truths I’m learning…truths that are leading to more freedom in my life. And I pray, more freedom in yours, too. 1. Despite my temptation to elevate people to the “approval giver” status, their approval will NEVER SATISFY my deep need to be affirmed, known and loved. 2. That’s because I was CREATED to be filled with God’s approval; sealed with HIS tender gaze of affection. Wandering around, trying to get filled up by people’s opinions of me is simply a distraction that keeps me from my destiny. 3. When all is said and done, an eternal perspective simplifies my struggles every time. Here’s the breakdown: I spend less than 100 years here on earth, and all of eternity in the presence my God. He is my focus, my Audience of One, the One I am to honor. 4. Time spent with God is how I keep that eternal perspective. Time spent listening for the whispers of His love echoing in my heart, lifting my eyes to worship Him is the only way I can find the approval I crave. 5. Simply put, focusing on the approval of God that comes through grace fills me. Chasing after the approval of man exhausts me. Approval from GOD is ALWAYS BETTER than approval from man. Always. God is the only One who can see us fully, love us fully and fill us fully. He is the only One who knows our hearts, our destinies and our potential. He is the only One who can call our names with such love, and lead us through all seasons and situations. Oh God- you are my rock. You are my strength. My hope and my security and my standing and my calling and my identity come from YOU, alone. Keep me close and strengthen this fickle heart of mine with Your enduring word and Your unfailing love. The next time I post will be on my NEW SITE!! (sometime next week) So stay tuned!! !